Name Hero is the leader in Reseller Hosting providing quality high-speed, reliable, and scalable hosting to over 10,000+ websites. With this, we’re also a huge distributor of the WHMCS hosting automation software, as it comes complimentary with our Corporate Reseller package. Because of this we’re sometimes mistaken for WHMCS support. Unfortunately we’re only able to provide initial installation support as we cannot expect all of our techs to be trained on third party software. For one, the software is encrypted with Ioncube, therefore even if our techs were trained, they don’t have full access to the source code making it impossible to troubleshoot. 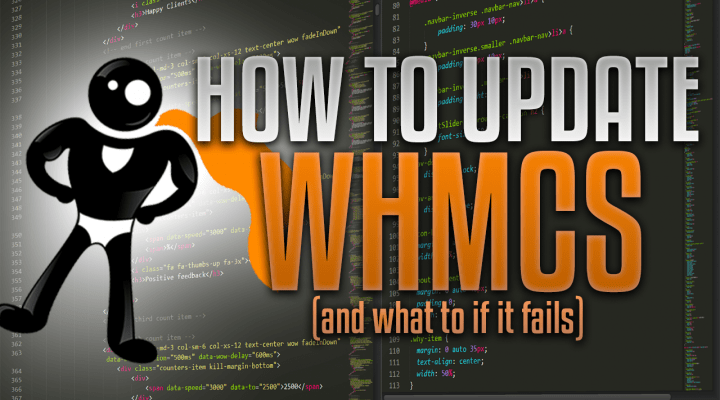 With that said, there is a certain way you should go about updating your WHMCS. You should NEVER just click update in your browser without following all the proper steps. WHMCS typically releases one “major” update every quarter and several security patches/soft updates throughout the year. Regardless the size of the update you should follow the above checklist and schedule sometime to complete the update. You should never do this during your “peak” hours. Schedule it for late in the evening or on a weekend/holiday. Using our Reseller Hosting packages at Name Hero combined with WHMCS can help send your web hosting business to the next level! But please remember we are two separate organizations all together who both want to see your business succeed. We want to keep our focus on continuing to develop our hosting infrastructure leaving the software development to the awesome team at WHMCS! Thank you so much for educating us in different ways in our business. I encountered a problem with updating the WHMCS and your video “How To Update WHMCS And What To Do If It Fails” helped me fixed it.